We adore the traditional fisherman’s raincoat for its retro design and its own unique style and practicality. It is a wardrobe essential across many coastal areas in Europe. And with their bright colours, particularly the iconic yellow, these raincoats are one of the happiest garments for a grey and rainy day. 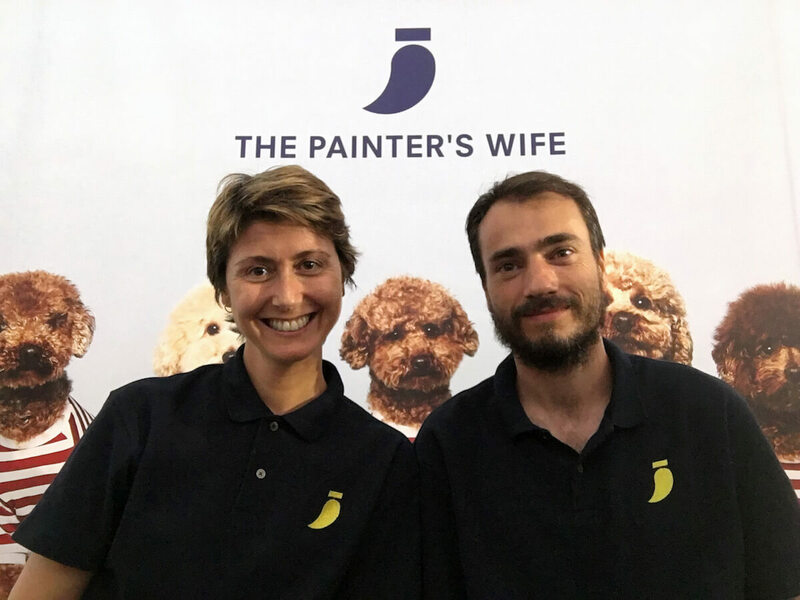 When we spotted yellow and green fisherman raincoats for dogs in the Painter’s Wife collection, we did not hesitate and added them to Roar’s contemporary dog clothes collection. The Painter’s Wife is an unusual name. Where does it come from? Art History shows that dogs have long been loyal partners to creative minds; be it famous artists, or those on undiscovered and on the rise. Our project’s name highlights this special bond and gives homage to the brilliant women who worked alongside talented artists, many of them artists themselves. There are many examples of creative couples. From Jackson Pollock and Lee Krasner, Josef and Annie Albers, Elaine and William de Kooning to Frida Kalho and Diego Rivera… united in their love for dogs. Tell us a bit more about your background in art? I studied Art History in Spain and Italy and I specialise in contemporary art. I’ve worked as a curator and art advisor and I’ve developed many projects with contemporary artists. For the last decade, I’ve been developing this role in a big fashion company, so I am familiar with the corporate business element, too. When we decided to launch this project we knew it had to be linked to art in some way. We did lots of research and discovered that dogs have been represented in many interesting ways in historic and course in contemporary art. 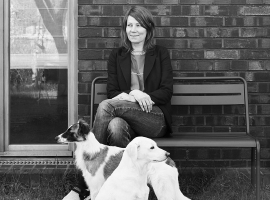 We believe this is a unique approach and a lovely way to bridge art, culture and pets. Tell us about your dog muse Pepa. We actually found our dog Pepa in March 2015. She had been abandoned in the parking lot of our house and we immediately decided to adopt her. Gradually, we realised how difficult it was to find accessories for Pepa that suited our taste and lifestyle. This is how we decided to start our business. My husband and partner Josep is a veterinarian, so we thought merging our skills could work well. Your business is still young. What have you learned since you started to set up on your own? Building a business is a huge challenge… you have to consider the commercial side, finding answers to questions like who is your potential client, where to distribute your products, and actually making your products? Developing a full brand that you feel comfortable with and that matches your values and vision. Also, finding the right suppliers that match our ideas in terms of quality has been very crucial to us. To us, consistency is very important and we have focused on building a supportive network of friends to make everything happen. And finally, if a dog owner asked you how to best pamper their dog? What would your advice be? It will be to treat him with dignity and love, that is, taking care that he or she eats in a healthy way, that he or she takes a good walk at least three times a day, that your dog is not alone over too many hours per day. And of course, when dressing him or her, choose practical garments with the best materials.